Removal of previous keeper information from V5 documents could lead to fraud. The DVLA’s decision to remove information from V5 log books could lead to an increase in fraud on used vehicles, according to cap hpi. 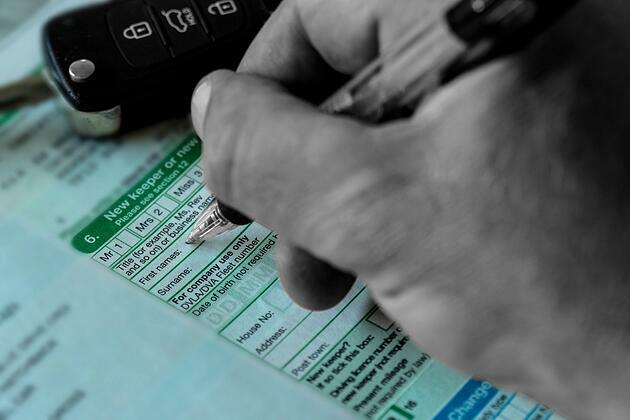 The change to the existing format of the V5c document, made by the DVLA with immediate effect, sees the complete removal of previous keeper details. The DVLA has made the move to protect consumers’ personal data, as part of its commitment to the new GDPR legislation, but, the knock on effect could also have a direct financial impact on the dealer network and, potentially, wider repercussions on the automotive industry as a whole, advises cap hpi. Dealers follow a due diligence process before purchase when conducting a mileage investigation in order to ensure they avoid buying a vehicle with a tampered odometer. It reduces the dealer’s exposure to financial risk and helps protect their public reputation. The positive knock-on effect is that this helps the entire industry to reduce vehicle fraud. The DVLA’s move to limit previous keeper information on the V5c to only the current keeper means that where a full mileage investigation is required, cap hpi and all other suppliers to the industry must now contact DVLA for the previous keeper details as part of the investigation process. A process for which the DVLA makes a charge. Existing V5c documents are unaffected until they are updated and re-issued by DVLA, at which point the previous details are then removed. cap hpi believes this now opens up the market to higher risk of fraud. The company’s HPI Check data has identified one in 16 vehicles has a mileage discrepancy, a one in three chance of uncovering a hidden problem and one in five cars has had a plate change. Wendy Swaine, head of retail at cap hpi, commented: “The nmr investigation itself gives dealers the peace of mind that the mileage on a vehicle they are interested in is accurate and that they can buy with confidence. With so many clocked cars on the road in the second-hand market, it’s important to undergo an investigation before purchasing. We appreciate the DVLA will be mindful of more stringent data protection legislation recently introduced. cap hpi is helping those using the nmr investigation, carried out as part of either a hpi check or a chosen manufacturer approved check, by updating the input screens based on the style of V5c applicable to that vehicle. It means only those fields which can be completed as per the information supplied by the DVLA will be shown based on the V5c issue date. cap hpi will also add all keeper disposal dates to the HPI Check to allow buyers to make a more informed buying decision.